How To Make Oatmeal Like Grandma Used To? For a healthy breakfast you must learn how to make oatmeal. My mother-in-law starts each and every day with oatmeal, her favorite breakfast food. 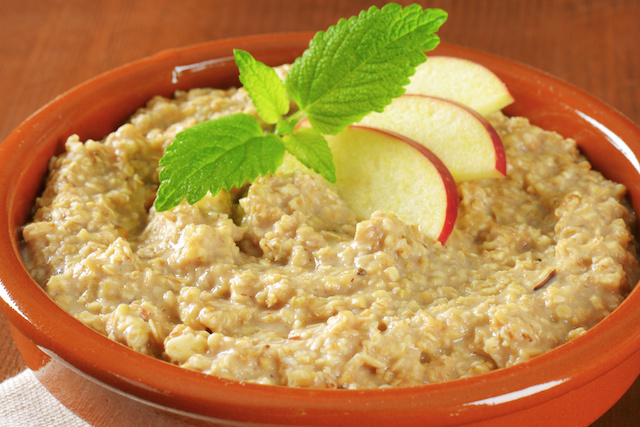 Believe it or not, oatmeal is one of the easiest and most nutritious breakfasts you can make. It truly is simple, if you can boil water or have a microwave oven, you can whip up a bowl of oatmeal within minutes. Here are my very best tips on how to make breakfast oatmeal. The next time you're shopping at your local grocery store, be sure to take a look at the different kinds of oatmeal that are available. You will find an assortment of brands with boxes of regular and flavored oatmeal. If you choose a box of flavored oats, it conveniently has six packets of instant oatmeal. Also take note of the circular tube of oatmeal, either large or small grain. These are normally unflavored, non-instant oats. Let's start with the box of instant oatmeal. This is the easiest to make in your microwave oven. Just take out a packet of oatmeal, place it in a small cereal bowl. Add a cup of water or milk. Place the bowl in the microwave and cook it according to package directions, normally from 1 to 2 minutes on high. Take the bowl out of microwave, stir and allow to cool before eating. If you like (not really necessary) you can add a teaspoon of sugar or perhaps you would like to add some fresh fruit like strawberries or blueberries on top as well. Sounds good doesn't it? Next on to the other type of oatmeal. Open up the circular tube and take out 1/2 cup of oatmeal and add to a small cereal bowl. If you are serving two people, add 1 cup (1/2 cup dry oatmeal per person). In a small sauce pot, add 1 cup of water or milk for one serving or add 1 and 3/4 cups of water or milk for two servings. Turn up the heat to high to boil the water or milk. Once boiling begins stir in the oatmeal and reduce heat to medium-high cooking for an additional minute stirring throughout. Its a good idea to flavor the unsweetened oatmeal. You can flavor your oatmeal with any sweet items at home including sliced apples, apple sauce, brown sugar, cinnamon, honey, maple syrup, or top with fruits. Don't be afraid to get creative and use your imagination. Hopefully you have enjoy our tips on how to make oatmeal. One last parting thought. Did you know oatmeal lowers cholesterol?